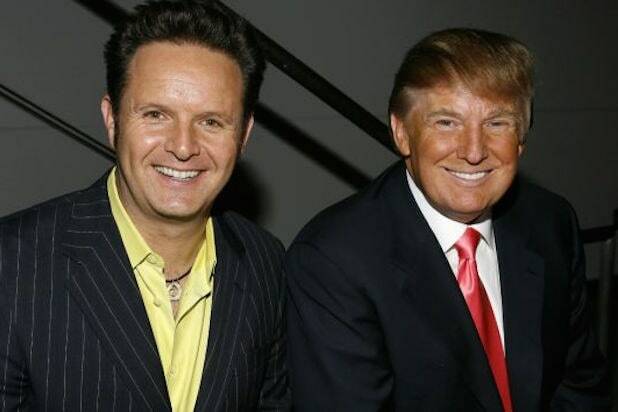 Trump also tweeted that the reality show’s creator, Mark Burnett, had called him and said that there were no tapes of him uttering the racial slur. “@MarkBurnettTV called to say that there are NO TAPES of the Apprentice where I used such a terrible and disgusting word as attributed by Wacky and Deranged Omarosa. I don’t have that word in my vocabulary, and never have. She made it up,” the president and former host of the show said. “Look at her MANY recent quotes saying such wonderful and powerful things about me – a true Champion of Civil Rights – until she got fired. Omarosa had Zero credibility with the Media (they didn’t want interviews) when she worked in the White House. Now that she says bad about me, they will talk to her. Fake News!” he continued. Representatives for Burnett and production company MGM Television did not immediately respond to TheWrap’s request for comment. Later Monday night, Arnold said that seven “Apprentice” employees gave statements about Trump saying the N-word and “100 other horrible things.” He also that he talked to Burnett in person. Viceland’s new series “The Hunt for the Trump Tapes with Tom Arnold,” will see Arnold doing some “citizen journalism” to find out the truth about any recordings of Donald Trump. It will begin with Arnold’s appearance on the “Howard Stern Show” and follow the comedian as he meets with figures like Arnold Schwarzenegger, Penn Jillette, Judd Apatow and Rosie O’Donnell. According to excerpts obtained by The Guardian, Manigault Newman’s upcoming book “Unhinged: An Insider’s Account of the Trump White House” includes passages in which she calls Trump a “racist” who has used the “N-word” repeatedly. She says that there are tapes to prove that Trump was caught on mic saying the racial slur on his former NBC reality show. She cited three unnamed sources. “The Apprentice” premiered in January 2004 on NBC and has aired in various formats across 15 seasons.